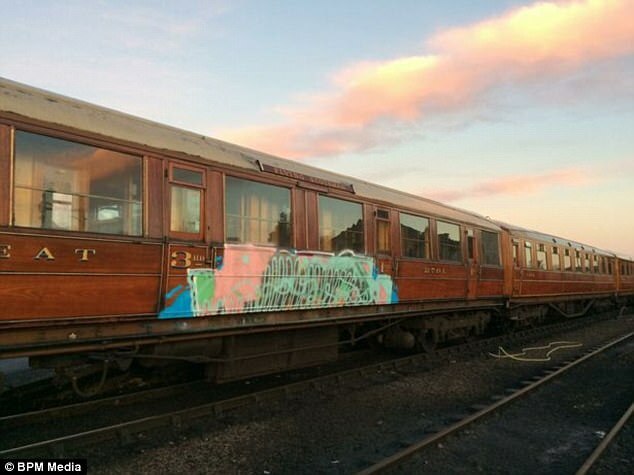 Graffiti vandals have trashed two carriages of the historic Flying Scotsman train on the Severn Valley Railway in Worcestershire. 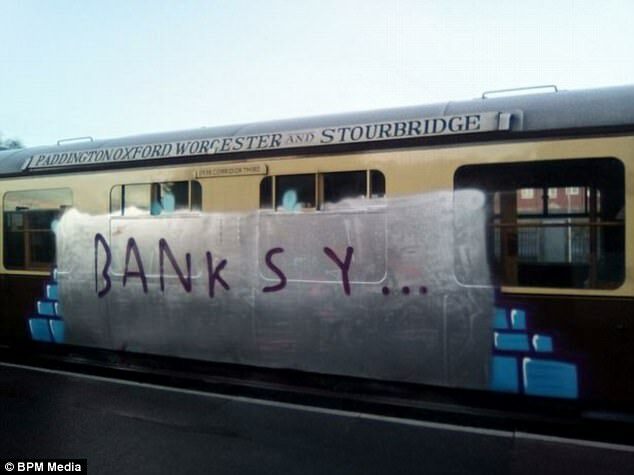 They struck over the festive period daubing a crude 'Banksy' on one carriage and spraying another with garish green and pink graffiti. The official Severn Valley Railway, based in Kidderminster, posted on Boxing Day: 'Not something we wanted to wake up to. 'In the last 48 hours, vandals have attacked some of our historic carriages at Kidderminster with graffiti. 'In light of this, some of our trains will be shorter than planned as the affected carriages will be removed from service. 'We apologise for any inconvenience caused. 'We are extremely saddened by this turn of events, especially in the season of goodwill. The carriages have now both been meticulously restored by volunteers. The historic railway runs between Kidderminster in Worcestershire and Bridgnorth in Shropshire - a distance of approximately sixteen miles. The railway is largely run by unpaid volunteers who repair and repaint stations, reconstruct viaducts and bridges and rebuild locomotives and rolling stock, as well as operate the trains. 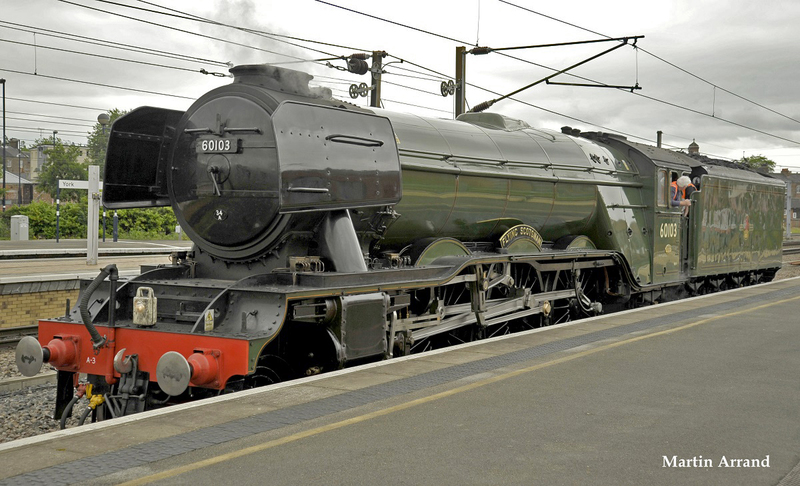 The Flying Scotsman, also known as LNER Class A3 4472, was built in 1923 for the London and North Eastern Railway at Doncaster Works to Sir Nigel Gresley's designs. 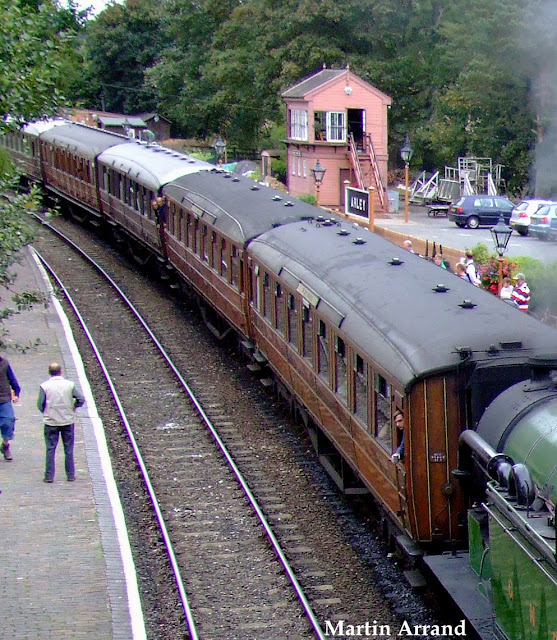 It is regarded as a masterclass in design but by 1963 steam trains had become old-fashioned and having covered two million miles British Railways retired it from service.